VBAC is a hot topic these days. It seems like I answer questions about it in forums, facebook groups, and random conversations daily. VBAC comes up almost as often as induction (which deserves its own post). If you’re reading this, you’ve likely had a cesarean birth in the past and are pregnant again and wondering whether you have to go ahead and schedule that repeat cesarean or not. ACOG* says that VBAC should be an option “for most women with one previous cesarean delivery with a low-transverse incision” in Practice Bulletin #184 (October 2017). The bad news? More than 30% of women in the USA give birth by c-section, yet very few pursue Vaginal Birth After Cesarean in their next pregnancy. Sadly, both mothers and care providers alike still embrace the “Once a c-section, Always a c-section” philosophy. Either you had a c-section or you know someone who did. And maybe you were told that your baby would never fit. Cephalo-Pelvic Disproportion / CPD (baby’s head won’t fit through mom’s pelvis) is a common reason given for an unplanned c-section. Do I have your attention? Yes? Good. You’re probably thinking, “OK, now I’m considering a VBAC, but I’m not even sure where to begin. I have so many questions.” I understand that. And that’s why I wrote this. For you! Along with the good news and the bad news, here are some tips and tricks you need to learn to even have a chance of a successful VBAC. Let’s get started. Join an ICAN chapter. The International Cesarean Awareness Network has groups to support women after cesarean, whether or not they go on to have a VBAC in the future. Most chapters have local meetups in addition to online support in facebook groups and similar forums. Do your homework. These sites are reliable sources for the facts on your options for VBAC or repeat cesarean. ACOG. Seriously. Go to the source. You may be surprised what you learn when you read what the American Congress of Obstetricians and Gynecologists has to say about VBAC. Share it with your OBGYN. Childbirth Connection. Their Tips and Tools article offers 8 thoughtful questions to consider when deciding between VBAC and repeat cesarean, along with helpful resources to answer each. Science and Sensibility. The Lamaze International research blog offers many excellent articles, including this 3-part series interviewing the author of the book Birthing Normally After a Cesarean or Two. Your next steps are the most important: choosing a birth place and care provider. There is very little you have control over when it comes to the physical processes of pregnancy, labor and birth. You have more control over where you give birth and with whom, and those two choices alone strongly predict the ultimate outcome. Again, do your homework. Ask your care provider specific questions and pay close attention to the answers. Beware of vague answers, delayed discussions, and non-medical stipulations. (“If the sunset is pink on the eve of your due date, then I’ll be ok with a VBAC for you!”) Here are some guides to common objections to a trial of labor after cesarean (TOLAC). VBAC Scare Tactics Series. Sadly, the Birthing Beautiful Ideas blog referred to in the Bait and Switch post above is no longer online. But I have good news! I have copies of the entire series as a set of PDF files, with permission to share from the author. Contact me for a private link to the files. VBACfacts.com. Along with a ton of other great content, Jen Kamel sums up the types of care providers you’ll find while seeking out a VBAC-supportive OB or midwife – the good, the bad and the ugly. She currently offers a free 3-day mini course on VBAC. Also be sure to learn the myths and facts about VBAC and induction. Finding a care provider who is truly a VBAC advocate can be difficult. And sometimes your options are very limited, if you have any at all. Doulas and childbirth educators often know who’s who among the OBs and Midwives in their area. 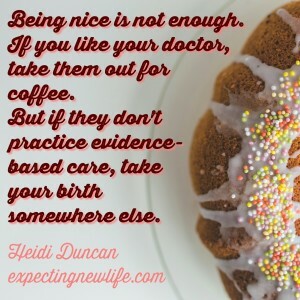 Hiring a birth doula is a wise step towards a successful labor and vaginal birth. (Doula support has been found to reduce the likelihood of a cesarean. ACOG even recommends having one!) Visit sites like DoulaMatch.net and Doulas.com to search for birth professionals near you. The links I’ve shared here are ones I’ve passed on dozens of times before to my clients, students, and women like you. As a birth doula, I’ve been blessed to help many women experience the VBAC they hoped for. You can read some of their testimonials by searching for VBAC on my Reviews page. There are also a couple of birth stories featured on my blog. For each of you, I pray that you will find here the information you need to make a confident choice about your future births and that you will have peace throughout the process. Have a blessed birth! If you are in the Middle Tennessee area and would be interested in working together for your next birth, please contact me to schedule your free consultation. 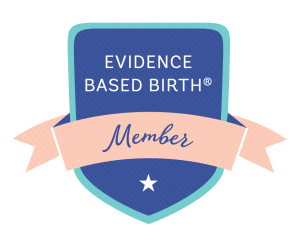 Posted in Resources, VBAC and tagged ACOG, birth doula, birth options, c-section, cesarean, doulas, evidence-based birth, facts, midwives, myths, OBs, VBAC. VBAC Finder.com doesn’t seem to work; at least for Arizona. Any other ways to find those rates? Thanks for telling me, Jessa! It appears that the VBACfinder.com site is having a server issue. Some information can be found on their sister site, CesareanRates.com. Hopefully, they will get the site back online soon. Meanwhile, I’ll keep looking for another source for that data.